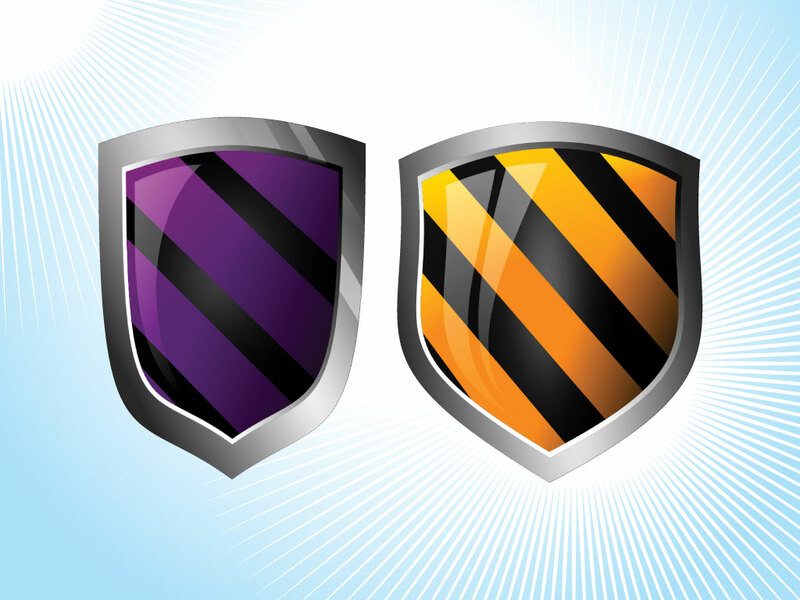 Download this pair of glossy shield for your heraldic and crest style designs. Cool modern style to mix with ancient heraldic graphics. Download as AI and PDF for your posters, t-shirts and logo projects. Tags: Emblem, Heraldic, Knight, Purple, Royal, Shields, Stripes, Yellow.